The flash sales site TouchOfModern is looking to continue expanding overseas, after an eventful March in which it resolved its lawsuit with Fab.com and raised a $3 million Series A round. Having extended its services to Canada in April, TouchOfModern has plans to move into Asian markets early next year. Co-founder and CEO Dennis Liu told us that the suit, which Fab.com filed against TouchOfModern last August, was resolved out of court with no material impact to the business. He declined to give further details. 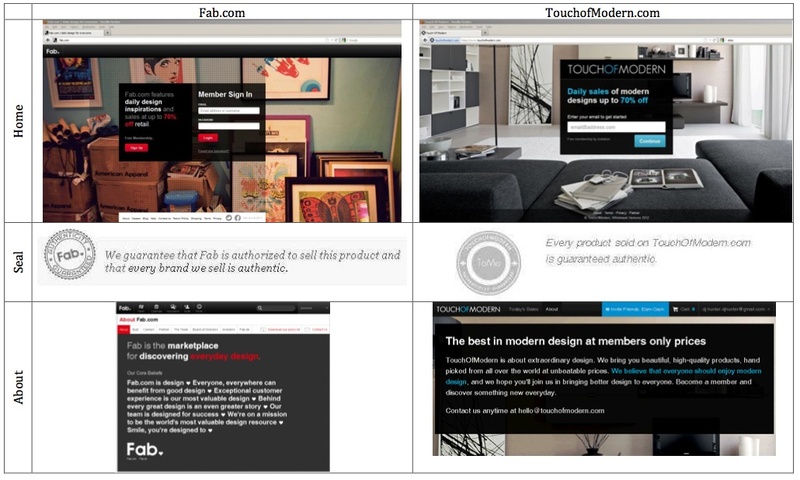 Fab.com originally filed the lawsuit on the basis that TouchOfModern infringed on its trademarks, trade dress, and copyrights, and that it copied key site design elements. Despite any investor doubts that could have resulted from the lawsuit, TouchOfModern closed a $3 million funding round with Mike Maples that same month. Hillsven Capital, which invested in the company’s seed round, also participated. In addition to scaling the company and hiring more team members, the funding will help fuel TouchOfModern’s international expansion. The expansion into Canada was something of a test run to learn the logistics of international shipping before making the move into Asia early next year, Liu said. The goal is to open up service to major coastal hubs including Seoul, Hong Kong, and potentially Taiwan. This would happen by partnering with or acquiring another company abroad, or opening an office to establish operations there. As yet another luxury flash sales site, TouchOfModern has sought to differentiate itself from competitors by appealing to an older, male demographic with a high disposable income — or, more likely, guys who aspire to belong to that demographic. Comparable sites like Gilt Groupe, Fab.com, and One Kings Lane are all female oriented, Liu said, while Thrillist’s Jack Threads has considerably cheaper offerings. Liu said that TouchOfModern disassociates itself from high discounts and cheap products, despite that it is in fact a sales site. The goal, he said, is to build a brand around high end items. TouchOfModern recently hit over eight figures in revenue, Liu said, which is significantly better than the development team has done in the past. The company is itself a two-fold pivot from the “experiences marketplace” Skyara, which later turned into RAVN, an event planning app. Considering that neither lasted much more than a year, TouchOfModern may be shaping up to be the most successful pivot yet, not that the bar is terribly high.